A new Paul Nash show, “the largest … for a generation”, is now open at London’s Tate Britain. 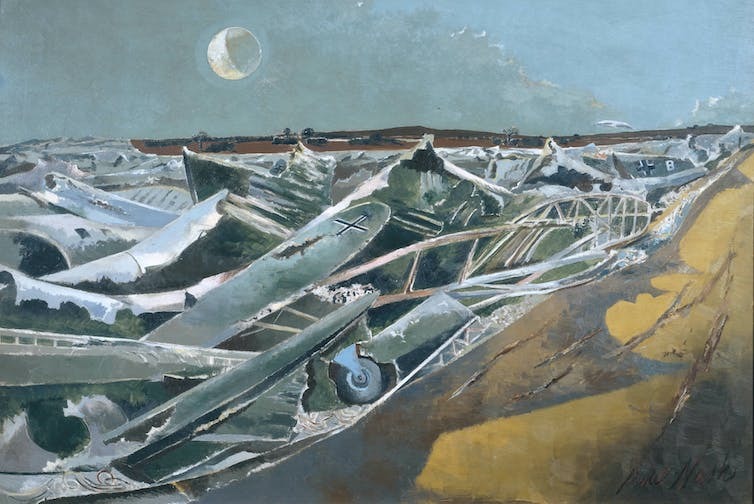 It is appropriate timing in this period of World War I memorialising – Paul Nash is one of the UK’s best-known modern artists, an illustrator who turned to oils to produce some of the most iconic images of the world wars. 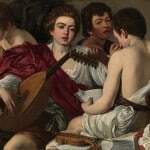 His paintings were described by those who were there as having conveyed the atmosphere as no other artist could. He is an artist who reverberates particularly with me, as a sometime war artist myself. War art is as old as war itself. There are prehistoric cave paintings in Spain depicting marching warriors. In the 16th and 17th centuries, artists started to produce responses to warfare based on their observations rather than simply ennobling the combatants. They produced works such as Pieter Brueghel’s Massacre of Innocents or, in the 1800s, Francisco Goya’s The Disasters of War, a series of etchings, 82 in all, through which he sets out to depict the brutality of war itself, often illustrating events he had witnessed. 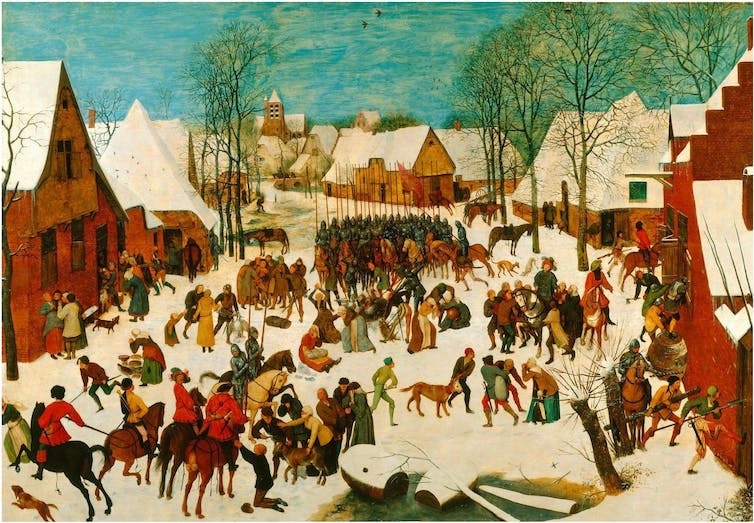 Pieter Bruegel the Elder, Massacre of the Innocents, c. 1565–1567. But despite this long tradition, the job of a war artist probably seems, to many, a curious calling. Why did Nash, a reluctant combatant whose injuries saw him back in Britain in 1917, request a return to the front line as a war artist? With little exposure to the formal world of art, at age 16, Nash suggested to his father that he would like to pursue a career as an illustrator. He spent much of his urban upbringing in London seeking out nature and it was to nature and landscape he would always turn for inspiration. 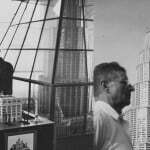 He always sought the “genius loci” – the spirit of a place. He studied at Chelsea Polytechnic and earned his fees for the Slade by designing bookplates and illustrations. During his time at the Slade he visited the post-impressionist exhibitions showing the works of Van Gogh, Cézanne, Picasso and Matisse. Although he claimed he took no influence from the work, he did learn from them that in art, there are no rules. He learnt to make his own way within the landscapes and draw and paint what he observed as he felt it. Things progressed well for Nash but, on the verge of commercial success, World War I changed everything. 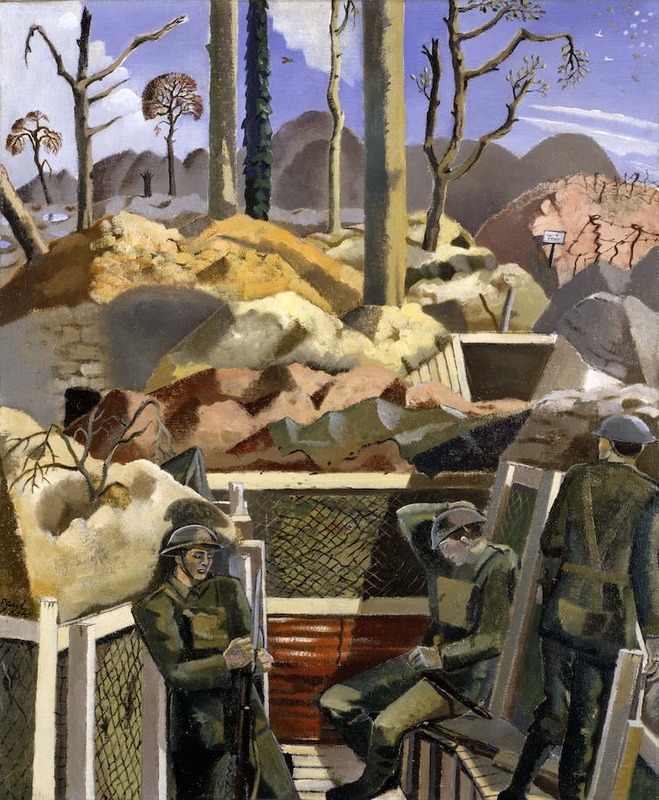 Paul Nash, Spring in the Trenches, Ridge Wood, 1917, 1918. Despite feeling unsure about his attitude towards combat, Nash felt his involvement in the war inevitable and so joined the Artists’ Rifles in September 1914, aged 25. But he got on well with his training and after two years of home service longed to be at the front, so undertook officer training and landed in France on February 22, 1917, part of the 15th Hampshires. He sketched the trenches and shattered buildings as he, and his men, prepared for a fresh assault while longing for the “end of this awful unending madness”. One night, Nash fell from a parapet and fractured a rib. In June, he was back in London while his fellow officers and men were slaughtered at the Battle of Messines. He realised that the accident had probably saved his life. Back in Britain, he worked with Christopher Nevinson and began to succumb to the influence of Vorticism, the British version of Futurism which focused on the modern, mechanisation, industrialisation and even the destructive effects of war. Paul Nash, Totes Meer (Dead Sea), 1940-41. It is at this point that my understanding of Nash and what set him on his course back to the front line hits a personal note. Nash had trained as a soldier and deployed overseas but his experience of the war up to his accident was, relatively speaking, uneventful. He now felt the need to experience the “real places” of war. He therefore sought a position as an official war artist, was successful and found himself in Flanders in October 1917. Similarly, I had been serving with the TA Battery of 7 Parachute Regiment Royal Horse Artillery and was involved in a number of call-ups (Bosnia, Iraq and Afghanistan). For various reasons, however, I had never been deployed. It was my art that allowed me to fulfil the need that many service personnel will recognise: to serve on the front line. In November 2011, after many months of applications and string pulling, I found myself on the front lines of Afghanistan as War Artist to 1st The Queen’s Dragoon Guards. Nash made his way forward into the mud of Flanders after initially being held back by General Headquarters, who wanted him to operate from behind the lines. I, after initially being refused a place with the Brigade Reconnaissance Force on a combat operation, ended up doing just that two weeks later in the middle of a battle with Taliban insurgents in the dust and dirt of Helmand province. Nash sketched the landscapes of Passchendaele, trying to capture the genius loci of the nightmare environment. I drew the men of the Queen’s Dragoon Guards and their Afghan allies – trying to capture what lies within the expression. It’s hard to know whether years of training will prepare you for the day you enter a mud-walled compound as enemy bullets whistle overhead but in my case it would appear they had. It wasn’t initially to pen and paper that I turned in the fortification, but sandbag and shovel. But as I’m sure was the case for Nash, and many war artists before me, as soon as I could I put pen to paper to draw the exhausted features of a soldier some 24 hours into a combat operation. It’s not so much the moments of combat that unnerve as the what-ifs, such as when 30 minutes after walking over a patch of ground an IED (Improvised Explosive Device) explodes under the tracks of a vehicle rolling over that same place. These experiences of war and the need that drives an artist to request consideration to be placed within sketching distance of the combat have changed little since Nash’s time. 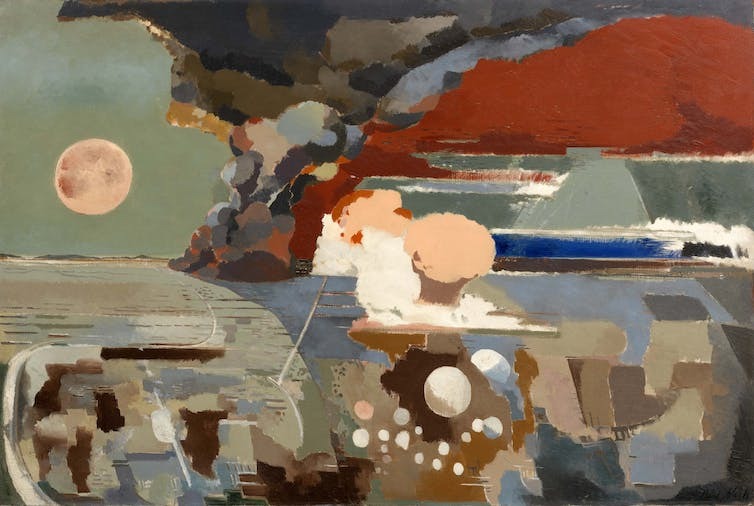 Nash and his fellow war artists Muirhead Bone, Christopher Nevinson, Christopher Williams and John Singer Sargent sought to express the experience of conflict during the Great War and World War II after it. And the likes of Matthew Cook, Richard Johnson, Michael Fay, Graeme Lothian and myself have been through the same process, albeit some 100 years later. Separated by time and technology, wars are now fought very differently. But the need to express their effect on life and land remains the same. Paul Nash is at Tate Britain until March 5 2017. 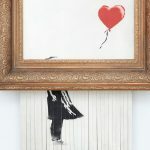 Masterpieces of The MetFounded in 1870, and one of the architectural glories of New York City, the Met stretches four blocks along Fifth Avenue with over two million objects under one roof.